Andrew has over 30 years’ experience in the property sector beginning his career with the State Bank in 1983. He was appointed by Opteon’s franchisees as Nominee Director in February 2017 and represents the franchisees’ position at the Board level. 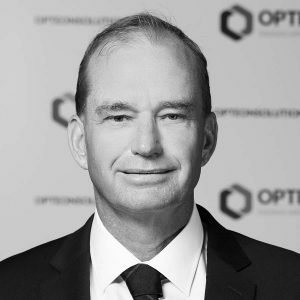 Andrew is also a Director of Opteon’s franchise in Wagga Wagga and Griffith. He specialises in business and agribusiness valuations, government property services, family succession planning and landowner negotiations on behalf of large-scale development proponents including mining companies and statutory authorities. He also manages and provides professional property advice and services associated with large infrastructure development for both Government and Corporate based clients. Andrew formed the valuation business Hopcraft Aylward in 1993 in Orange NSW which evolved to become the leading valuation firm in the region. Andrew has completed the director’s course with the Australian Institute of Company Directors.